See 1:44 of this week’s edition of “Latin Pulse” for my story on new research out of the Brookings Institution and the implications for Latin American foreign policy. Also, I was on C-SPAN! 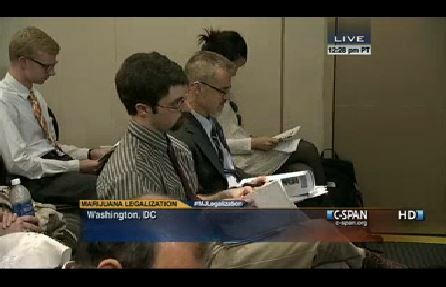 The author, featured in a screen capture of C-SPAN coverage of a Brookings Institution event called, “The Politics of Marijuana Legalization.” To the author’s left, John Walsh of the Washington Office on Latin America. My first time on the “Mediatwits” podcast was last week. Take a look behind the scenes at my tech issues, and check out the episode itself. As I take on more responsibilities at PBS MediaShift, I’ve had to improvise a bit. For an internship about the digital revolution of media, the irony that the digital media revolted is inescapable. For example, I was on vacation when I needed to join the “Mediatwits” podcast. Mark Glaser, my editor, had me sharing screenshots of the stories and websites the team was talking about. I would have also contributed to the conversation myself, but I ran into some technical issues. 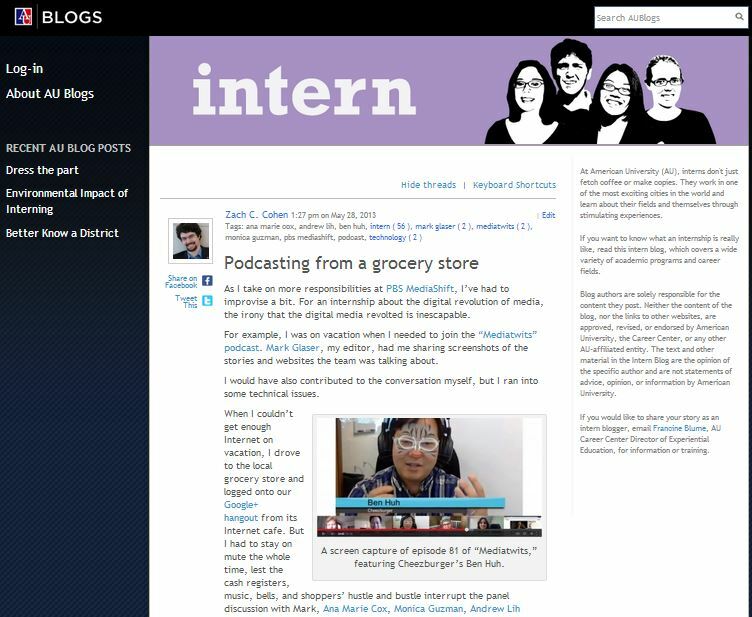 I’m continuing the tradition of blogging about my internships for the American University Career Center. First TIME and USA Today Tech, now PBS MediaShift. I had the pleasure to secure an internship at PBS MediaShift this summer! 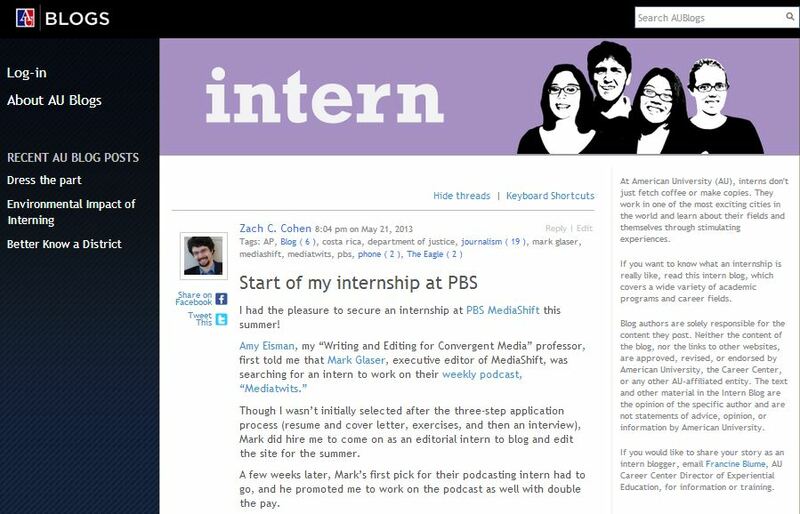 Though I wasn’t initially selected after the three-step application process (resume and cover letter, exercises, and then an interview), Mark did hire me to come on as an editorial intern to blog and edit the site for the summer. A few weeks later, Mark’s first pick for their podcasting intern had to go, and he promoted me to work on the podcast as well with double the pay. Fascinating project out of Montclair State University, where students do freelance video projects for cash-strapped newsrooms across New Jersey. 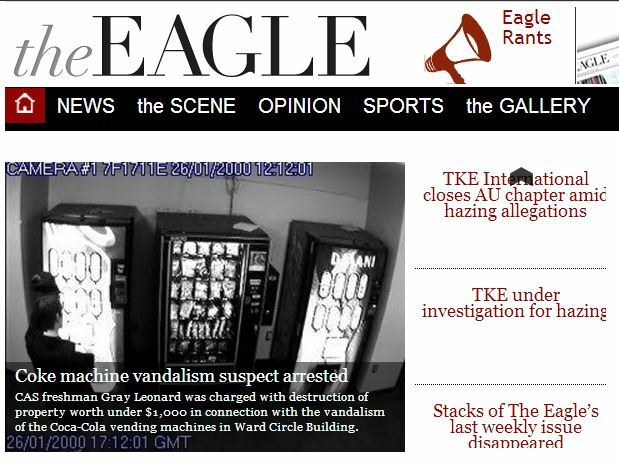 A screen capture of The Eagle’s home page on May 18, which features the author’s story. The Department of Public Safety arrested Gray Leonard April 9 in connection with the vandalism of two Coca-Cola vending machines in Ward Circle Building, according to Public Safety and D.C. court documents. Leonard, a freshman in the College of Arts and Sciences, was charged with destruction of property worth under $1,000, a minor misdemeanor, according to AU Public Safety investigator Keith Gray. Leonard pleaded not guilty to the charges of destruction of property, according to D.C. Superior Court documentation of Leonard’s case. 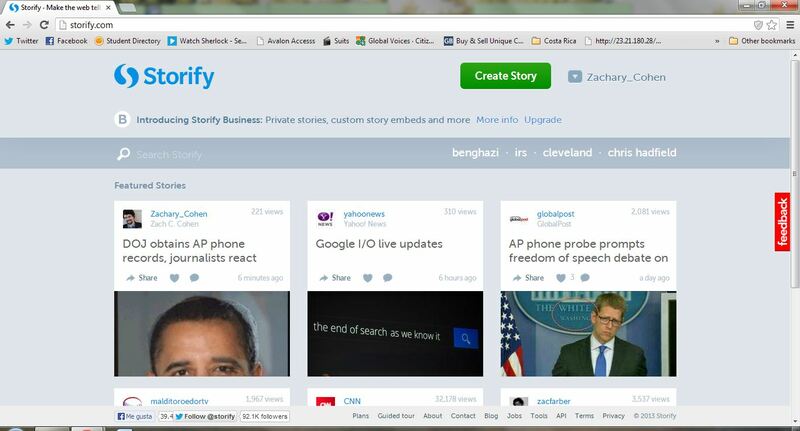 A screenshot of the Storify homepage May 15, 2013, which features the author’s story. I published my first piece for PBS MediaShift today, compiling the social media and press clippings of the ongoing controversy regarding a Justice Department probe of AP phone records. 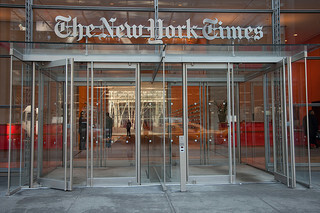 The Associated Press announced Monday that the Department of Justice had obtained two months of phone records from its journalists in New York; Washington, D.C.; and Hartford, Conn. The DOJ sent the AP a letter last week stating that it secretly spied on 20 phone lines, some of which were used by five reporters and an editor who worked on a story about a foiled Yemeni bomb plot, which the AP believes may have been the unstated motive for the DOJ’s actions. A screenshot of the PBS MediaShift homepage May 15, 2013, which features the author’s story. It covers the difficulties that veterans face when they return home from service. Every aspect of the project, from story selection to reporting to video to web design and production, was done by students. And today, the project was featured on the homepage of WAMU 88.5, the highly-rated NPR affiliate in Washington, D.C.! We worked with Seth Liss and Chris Lewis from WAMU to pick the trajectory of the project. I wore a number of hats for the project. I was the assignment editor, a web producer, Wordle master and a reporter on Post-9/11 GI Bill benefits. I’m really proud of this project. It was a lot of work, but it really is one of the best pieces of journalism I’ve ever had the pleasure of being a part of. Take a look at the intro video for the project. It really encapsulates everything this project sought to convey. Look, Ma, I made a website! Welcome to my brand new website, zachccohen.com! Here I’ll blog about the most recent developments both in my life and in the fields I’m covering. Join the conversation by commenting anywhere here, tweeting at me or shooting me an email. Thanks!